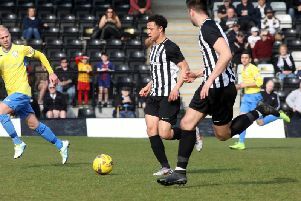 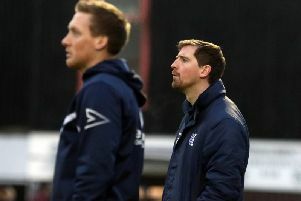 Steve Kinniburgh is determined to give the Corby Town fans something to shout about in the final Saturday fixture at Steel Park this season. 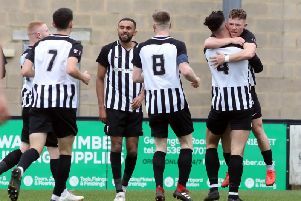 Corby Town produced an impressive display as they claimed a victory at Steel Park. 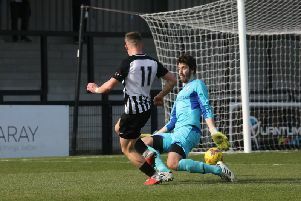 Corby Town turned in one of their more impressive displays of the season as they beat Berkhamsted 3-1 at Steel Park. 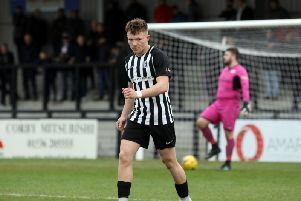 Steve Kinniburgh was left frustrated after Corby Town’s title hopes were all-but ended after a 2-1 defeat at leaders Bromsgrove Sporting. 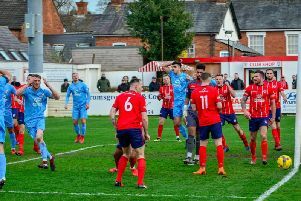 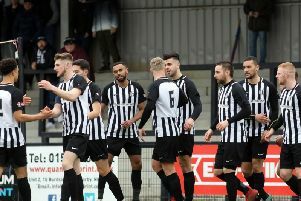 Steve Kinniburgh knows there is plenty at stake when Corby Town head to Evo-Stik League South Division One Central leaders Bromsgrove Sporting tomorrow (Saturday). 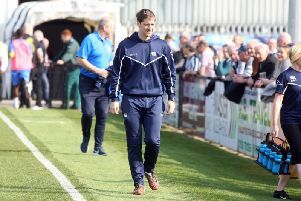 Assistant-manager Ashley Robinson was able to reflect on a “really good performance” as Corby Town enjoyed a comfortable 5-2 victory over North Leigh at Steel Park. 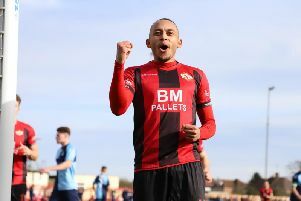 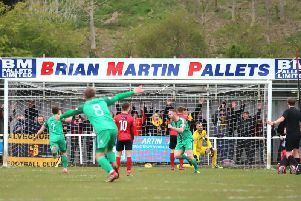 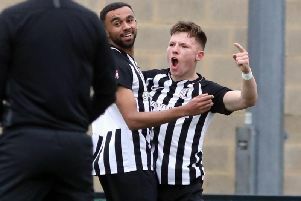 Jordon Crawford was the hat-trick hero as Corby Town made an emphatic return to winning ways in the Evo-Stik League South Division One Central with a 5-2 success over bottom side North Leigh. 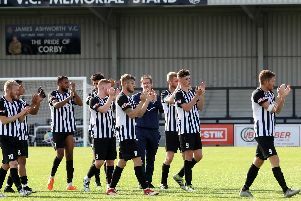 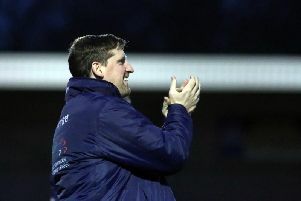 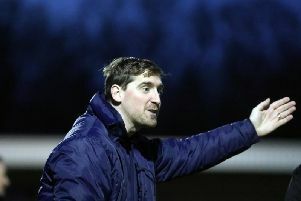 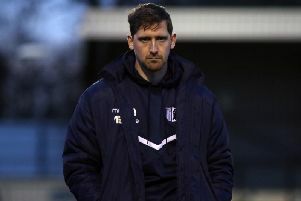 Steve Kinniburgh will be setting some new targets for his Corby Town team for the final month of the Evo-Stik League South Division One Central campaign. 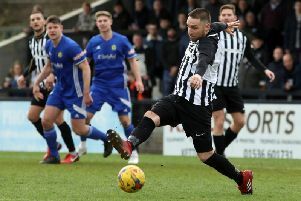 Steve Kinniburgh knows Corby Town must “turn up” as they take on a North Leigh side who have plenty to play for at Steel Park this weekend. 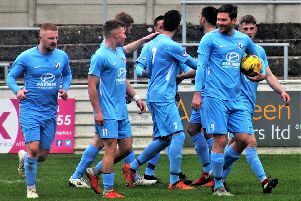 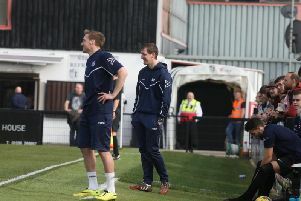 Steve Kinniburgh was delighted with the response of his Corby Town players as they fought back to seal a 1-1 draw at Thame United.